Advanced Card Systems Ltd. - Top PC-linked Smart Card Reader Supplier. Hong Kong, 29 March, 2019 - Advanced Card Systems Ltd. (ACS), Asia Pacific's top supplier and one of the world's top 3 suppliers of PC-linked smart card readers (source: Frost & Sullivan), announced that ACS Technologies (Shenzhen) Ltd. (ACS Tech), the Shenzhen branch office, has obtained the re-accreditation of National High-Tech Enterprise status and certification. 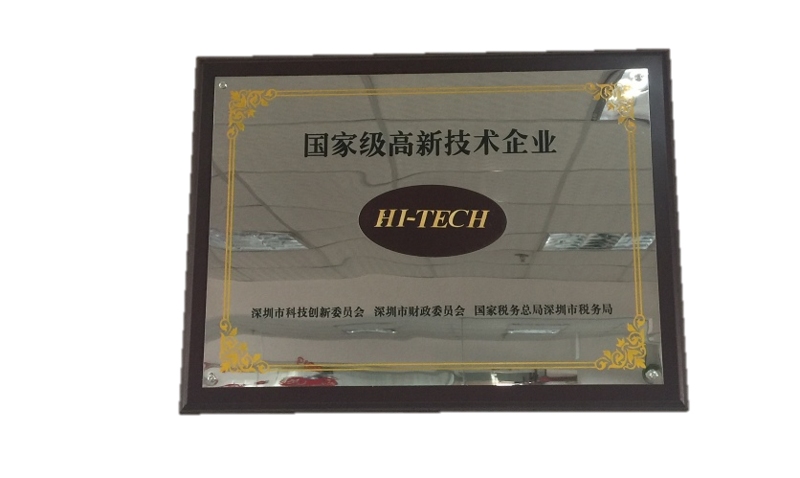 ACS Tech was first qualified as a National High-Tech Enterprise in 2015 by the government in recognition of its proprietary core technologies. The re-accreditation of the status is truly another milestone of the company. ACS Tech will continue to innovate and invest in R&D to foster its development and contribute to the industry. “National Hi-tech Enterprises" refers to the enterprises carrying out business activities in the hi-tech sectors that have incessantly devoted to R&D and owned independent intellectual property rights of its core technologies. The enterprises should have the technical capability of transforming major scientific and technological achievements into real productive forces and take a leading position in China or abroad. This accreditation by the Chinese Ministry of Science and Technology is one of the highest honors for Chinese technology companies and an authoritative affirmation of the research strengths of such enterprises. Since its establishment, ACS has maintained a momentum of rapid growth and development. The company develops, produces and supplies a wide range of high quality smart card reading/writing devices, smart cards and related products. After years of unremitting efforts, it has strengthened its leading position in the smart card industry. This re-accreditation of "National Hi-tech Enterprise" status reinforces ACS Tech to continue improving its technical strengths. Advanced Card Systems Ltd. (ACS), founded in 1995, is Asia Pacific's top supplier and one of the world's top 3 suppliers of PC-linked smart card readers. ACS is the winner of the Product Quality Leadership Award for Smart Card Readers from Frost & Sullivan. In 2010, 2014 and 2015, ACS was listed in Forbes Asia's “Best Under a Billion" list, an inter-industry list comprised of 200 top-performing publicly listed companies in the Asia-Pacific, with sales between US$5 million and US$1 billion. ACS develops a wide range of high quality smart card reading/writing devices, smart cards and related products and distributes them to over 100 countries worldwide. Visit ACS at http://www.acs.com.hk/.